One of the best things to do in Granada is to immerse yourself in the kaleidoscope of vibrant culture on your first night. 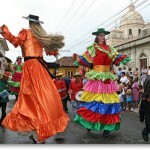 Head out to Calle La Calzada and experience the liveliness of the colonial city. A plethora of restaurants housed in colorful restored colonial homes flank the cobbled stone pedestrian street in the heart of Granada. Calzada starts at the Parque Colon, where the Cathedral is located, and proceeds straight past Iglesia Guadalupe, where it widens to accommodate automobile traffic and continues to the waterfront on Lake Nicaragua. Choose a front row seat at one of the many open air restaurants and outdoor cafes. Locals and tourists alike fill the streets and outdoor tables, enjoying local food, beverages, entertainment and the best attraction, people watching. There are so many restaurants to choose from, you would need more then a week to enjoy the excellent local fare served here. Hosts at every restaurant will attempt to entice you and are happy to share with you their menus. Take your time, or try a tapas stroll, enjoying appetizers at one restaurant, and an entree at another. There is a lot of variety. Nectar’s offers good local dishes, with a worldly influence, Pizzeria Don Luca has very great pizza and italian, El Tercer Ojo Granada offers an elegant, lounge like atmosphere with Mediterranean and Asian fare. O’ Shea’s Irish Bar is just that and always attracts a crowd, Rodeo Steak House and Grill is Nicaraguan owned, always lively. An imaginative mélange of street performers parade the street. 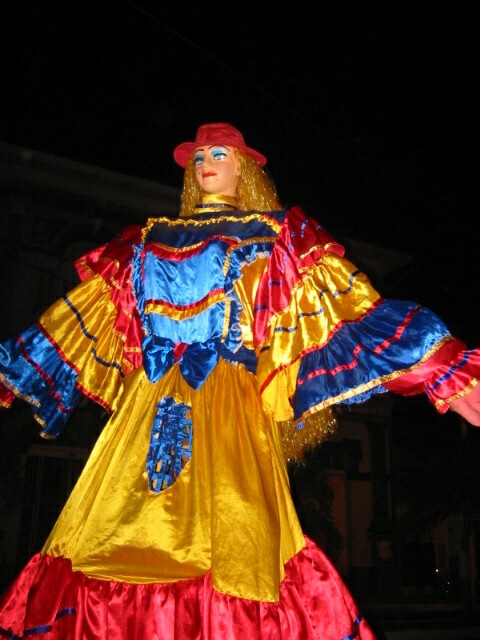 You will often see Gigantes and Break Dancers, Mariachis will serenade you stopping at tables to play a favorite song, and young artists will offer to sell you locally handcrafted jewelry and trinkets, all will enchant you, Bring your wallet, and have smaller bills available to tip the performers if you like. After dinner enjoy the cool night air, perhaps a delicious gelato, dance the night away at one of the clubs, or take leisurely stroll back to the quiet oasis at Tribal Hotel.